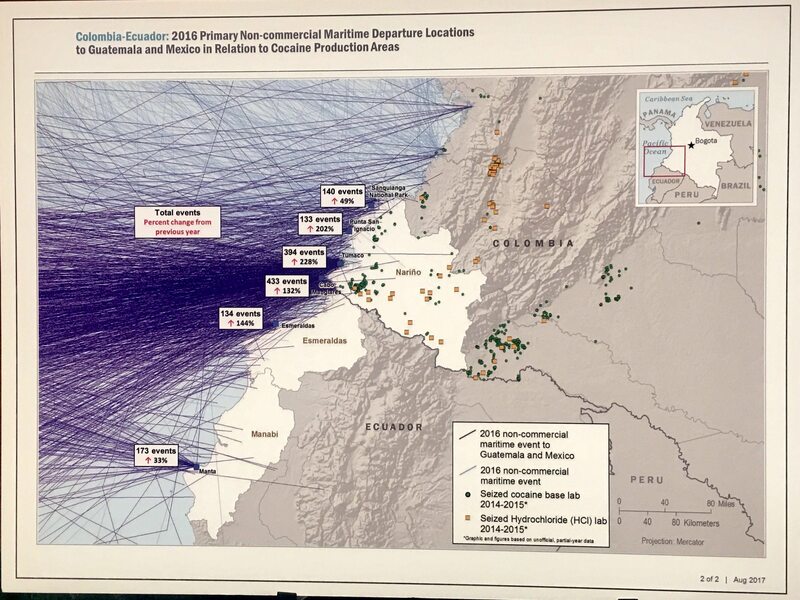 These U.S. government maps were on display at today’s Senate Colombia hearing, but weren’t in anyone’s published testimony. Click on them to see them enlarged. 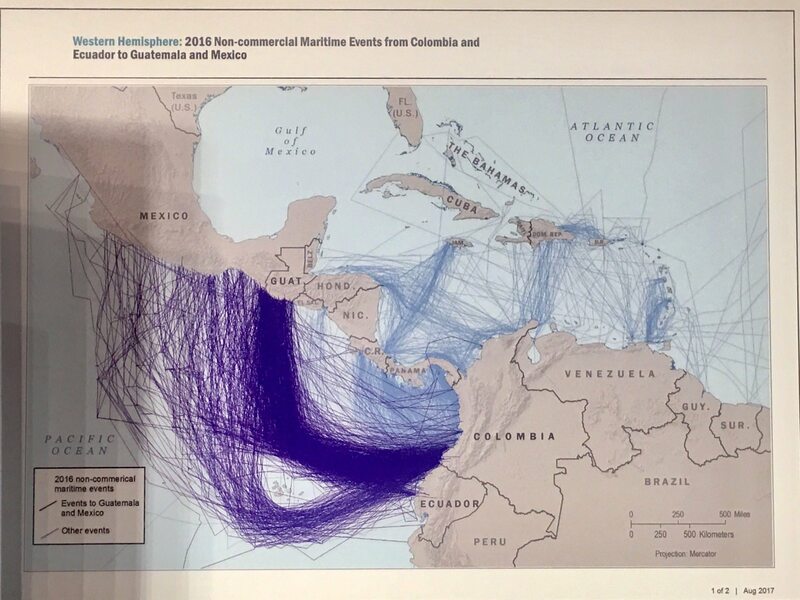 That route from southwest Colombia and Ecuador to Mexico and Guatemala is really striking. Also striking is the relative absence of vessels headed to Nicaragua, El Salvador, Cuba, and Haiti.